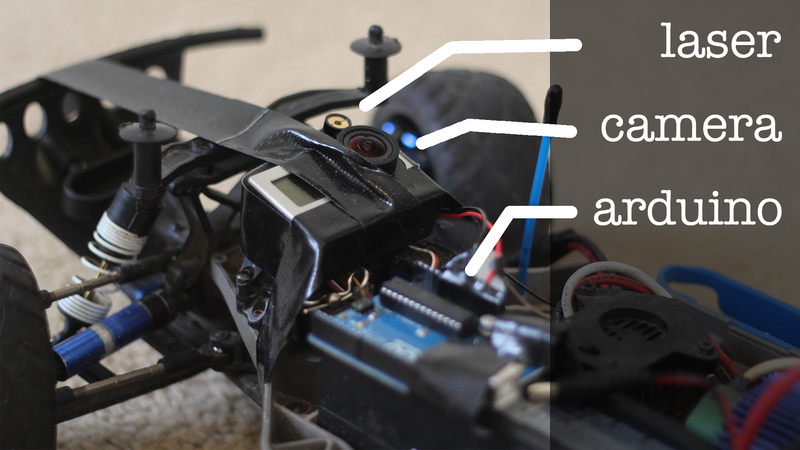 This little car is equipped with a line laser ($10 on Adafruit), a GoPro and an Arduino Uno. 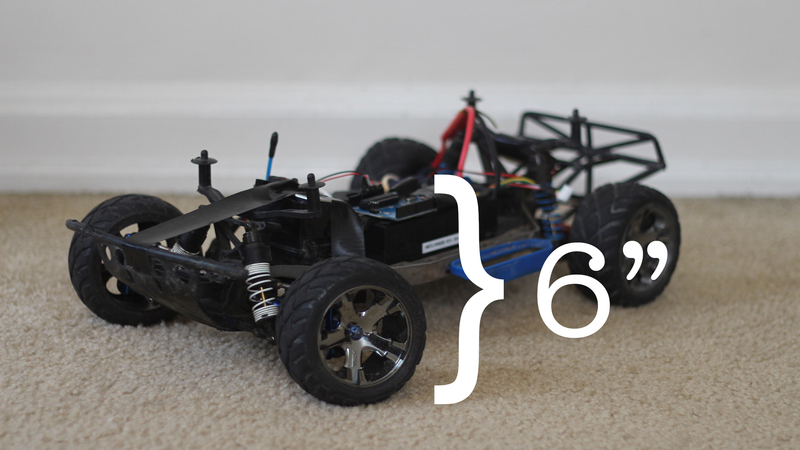 When driven via remote control underneath vehicles at a constant rate of speed, capturing footage at 60fps, I am able to get an accurate reading of an approximately 1ft wide space of the underside of a vehicle, to be parsed into point-cloud data and eventually a 3D-printable model. After experimenting with Photoshop and After Effects color-matching filters, I decided to write my own processing script to extract the laser’s path in the footage. I discovered it works best with footage shot in the dark, because it provided the cleanest and brightest result. My script essentially tries to find the brightest and reddest color per column of pixels in the video. I also use averaging and other threshold values to “clean” unwanted data. I then exported all the points in a .ply file and uploaded them to Sketchfab, which all models are viewable below (best viewed in fullscreen). The resolution is a bit less because the car was driven at a higher speed. As a final step in this process, I was recommended to try 3D printing one of the scans, which I think turned out amazing in the end! There were a few steps to this process. 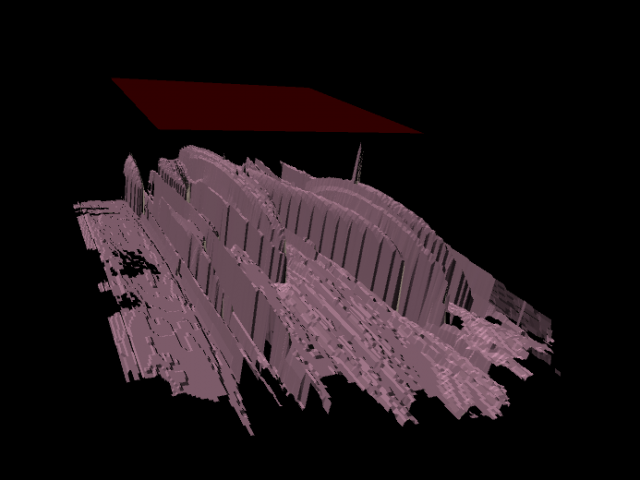 The first was to fill in the gaps created from missing point data in the point cloud. I approached this in two different ways-first I used an average of the edges to cut off outliers. Then I extended the points closest to the edge horizontally until they reached the edge. And lastly, any missing points inside the mesh would be filled in using linear interpolation between the two nearest points on either side. This helped create a watertight top-side mesh. Then with the help of student Glowylamp, the watertight 3D model was created in Rhino and readied for printing using the MakerBot. 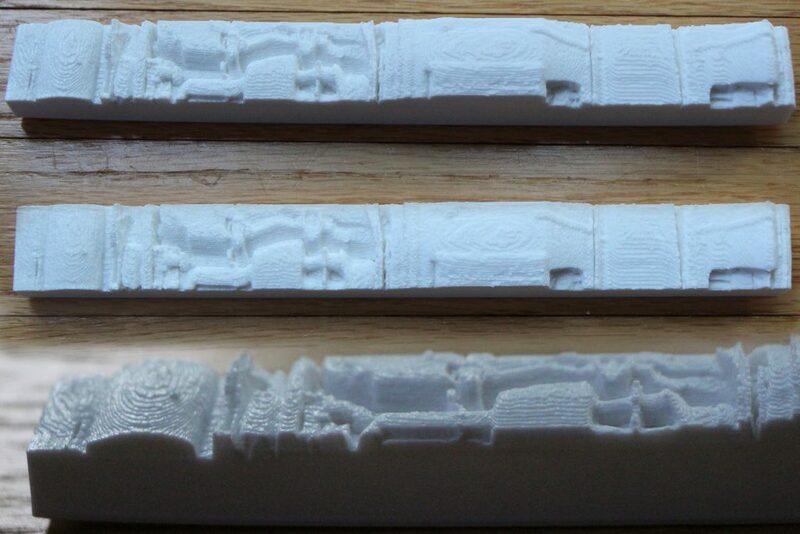 The following are the process and results of the 3D print. There are also plenty of other renders that are bad due to non-ideal lighting conditions.